Kimberly McLain is Chief Executive Officer of the Newark Alliance. In this role, she sets the strategic vision for the organization and leads its work in partnership with state and local stakeholders to improve education, employment and economic opportunities in Newark. 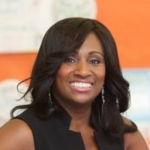 Prior to the Alliance, Kimberly was President & CEO of Foundation for Newark’s Future (FNF), the centerpiece of a $200 million philanthropic initiative to improve educational outcomes for Newark students from early childhood through college. FNF, established with a five-year charge to seed conditions for systemic change, used short-term philanthropy to create the systems and conditions necessary for long-term educational improvement. At FNF, Kimberly oversaw the Foundation’s pursuit of comprehensive high-quality school options, including traditional, charter and community schools. Kimberly also led the expansion of the Foundation’s core strategies beyond K-12 to include career and workforce development by investing in the city’s Summer Youth Employment Program, the Newark City of Learning Collaborative and an Opportunity Network to reengage at-risk youth.Previously, Kimberly served as Vice President of Finance and Operations with Newark Charter School Fund and Managing Director of Planning with Teach For America. Prior to transitioning to the nonprofit sector, she was an Investment Banker with Credit Suisse and Certified Public Accountant with KPMG LLP. Kimberly serves on the board of Leadership Newark and is Chair of the Board of BRICK Academy; a transformative educational organization that focuses on improving low performing schools in Newark’s South Ward. She has received many accolades, including the Leadership Newark Education Award, the Willing Heart Community Center’s Excellence in Philanthropy Award, and NJ Biz’s Top Forty Under 40 Award. Kimberly holds a BS in Accounting from the University of South Carolina and an MBA from Columbia University. Peter Cordrey is a Managing Director and Head of Product Management and Distribution at Prudential Fixed Income. Previously, Mr. Cordrey was Head of Alternative Investments, responsible for all fixed income long/short strategies as well as the Collateralized Debt Obligation (CDO) Platform. Earlier, Mr. Cordrey was Head of the Global Liquidity Sector Team, the group responsible for managing US government and foreign government securities, US mortgage-backed securities, and fixed income derivative products. 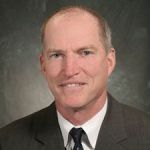 Prior to joining Prudential Financial in 1996, Mr. Cordrey spent nine years at Merrill Lynch, trading U.S. Government Securities. 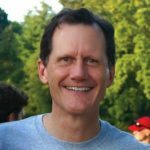 He has served as Board Member and President of Summit Youth Lacrosse Club, where he has coached for over 20 years. Together with his family, they have fostered children for over a decade on behalf of NJ DCF. Mr. Cordrey received an AB in Economics from Princeton University and an MBA in Finance from Columbia University. Sally Dunlap Booth is a life-long resident of Bernards Township. She graduated from Ridge High School in 1978, worked for Representative Millicent Fenwick in 1982, served on the Bernards Township Board of Education from 1994-1997. She was a member of the Municipal Alliance, served as the program director for the Somerset Hills League of Women Voters and was a legislative affairs representative for the Junior League of Morristown. Mrs. Booth holds a BA in political science from Kenyon College, Gambier, Ohio, and a master’s degree in education from St. Elizabeth College, Convent Station, New Jersey. 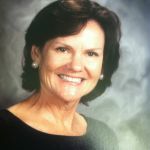 Prior from becoming a teacher, Mrs. Booth worked in public relations for Adidas, USA and other fortune 500 companies. In 2003, she became a teacher and has taught history and English in private, public and charter schools. She is currently a public school teacher in Somerville and serves on the Board of Trustees for BRICK Academy in Newark, New Jersey. and Tarrytown, New York and leads a team of 4 patent attorneys, a patent agent, and support staff. Melanie reports to BASF’s General Counsel and Senior Vice President. Melanie also serves as the Pro Bono Coordinator for BASF Corporation and in 2011; the Pro Bono Partnership honored her with an Individual Volunteer of the Year Award for her pro bono work. 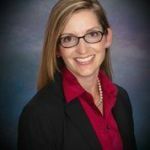 Before joining Engelhard, Melanie was an IP attorney at Honeywell International Inc. for 15 years and had worldwide responsibility for IP matters of various Engineered Materials businesses. She assumed roles of increasing responsibility including heading the IP function for the fibers business in Richmond, VA.
Melanie earned a Bachelor of Science degree in Materials Engineering from Rensselaer Polytechnic Institute in 1979 and a Juris Doctorate with honors from Capital University Law School in 1985. She is licensed to practice before the US Patent and Trademark Office and in Ohio and New Jersey. 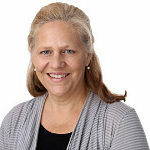 She is a member of the North Branch Reformed Church, Bridgewater, New Jersey and serves on the Preschool Advisory Board. She also does fundraising for non-profit Delaware Valley Golden Retriever Rescue in addition to adopting their rescues. Gary DeBode founded Gallium Real Estate in 2015 to co-invest in and develop multi-family residential and self-storage projects. Prior to leading Gallium, Gary led Edison Properties, a real estate development and operating company which ownsand operates Manhattan Mini Storage and Edison ParkFast. Most recent title was CEO, having worked in the business for 22 years. While at Edison, he led teams in the development of eight Manhattan Mini Storage projects totaling over 1.5 million square feet; repositioning of the Hippodrome Building (1120 Avenue of the Americas, NY, NY) while 90% occupied, and led a team in the development and construction of The Ludlow, an 80/20, 243 unit multi-family project in the lower east side of Manhattan. Worked for Tishman Realty and Construction as a Project Engineer on commercial projects in Atlantic City, Jersey City and Manhattan. Served as Lieutenant in U.S. Navy as a Naval Submarine Officer and Naval Nuclear Propulsion Engineer. 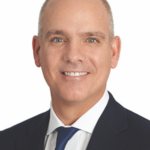 Matthew H. (Matt) Malloy, is a Managing Director, head of the Institutional business and a member of the firm wide Operating Committee at Neuberger Berman LLC. Matt joined Neuberger Berman in 2015 from J.P. Morgan Asset Management, where he was Global Head of the Institutional Solutions Group. Prior to J.P. Morgan Asset Management, Matt was a Managing Director at Goldman Sachs Asset Management; and worked as a Managing Director in Financial Institutions Investment Banking with UBS Investment Bank and Merrill Lynch. Matt has over twenty years of investment management and investment banking experience. He holds a BA from Washington & Lee University and an MBA from the Fuqua School of Business, Duke University. Matt resides in Mendham, NJ with his wife and three children. 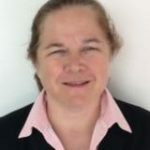 A writer, Ms. Mazarakis is a former consultant in the areas of organizational development, community economic development, and nonprofit management. In this role, she worked extensively with organizations such as Community Development Solutions, Inc., the New York Community Trust, AmeriCorps, the Clinton Global Initiative, and The New School for Social Research, among others. She previously served as the Executive Director of the Montclair Economic Development Corporation and as a Program Director for the Local Initiatives Support Corporation. Key government experience includes senior leadership positions at the New York City Department of Housing Preservation and Development and in the New York City Mayor’s Office of Economic Development. Ms. Mazarakis is a National Board Member of the Princeton Prize in Race Relations, as well as Chair of its Regional Support Committee and founding Co-Chair of its Northern NJ Committee. She has also held volunteer leadership roles on the School Action Team for Montclair High School, the Princeton University Class of 1984 Memorial Fund, and the Montclair Housing Commission. Ms. Mazarakis earned her Bachelor of Arts in Political Science from Princeton University and an MPA from NYU’s Wagner School of Public Service. Aaron is the Senior Program Officer at The MCJ Amelior Foundation where she manages the education portfolio of investments. Prior to joining MCJ, Aaron worked as Program Officer at the Foundation for Newark’s Future. Aaron joined the foundation world after eight years working at the New York City Department of Education (NYCDOE) in a variety of roles. For four years, Aaron led the Office of School Redesign where she spearheaded the effort to standardize how more than 20 large, comprehensive secondary schools restructured into Small Learning Communities with theme-based, semi-autonomous academies. Her work included managing over $17M in federal and philanthropic grants and establishing a framework, implementation rubric, and targeted professional development to support schools in their improvement efforts. New York City’s work in this area was recognized as a national model of promising practice. Later, Aaron worked with the NYCDOE’s Chief Operating Officer to provide oversight for the implementation of strategic priorities in the Division of Community Engagement, the Office of Family Information and Action, and the Panel for Educational Policy. She also coordinated a strategic communications plan for the NYCDOE that served as a blueprint for NYC’s education campaign. Prior to leaving the Department, Aaron led a major leadership pipeline program designed to develop the capacity of teachers to lead their peers and to increase the number and preparedness of teacher leaders ready to take on school-wide leadership positions. Before to joining the NYCDOE, she managed national children’s literacy grants at Reading is Fundamental (RIF) and traveled the country to monitor and support program implementation in schools and communities. Aaron’s commitment to education began after college as an AmeriCorps volunteer in Las Cruces, NM where she served as a literacy tutor and school-to-family liaison to help bridge the gap between school and home learning. Aaron lives in Morristown, NJ with her husband, two daughters, and old dog.